In my opinion, one of the joys of writing historical fiction is putting in the little tiny historical details and knowing they’re accurate. For example, what games did children play in the mid-19th Century? We can learn about games and amusements of the era by reading primary sources, taking hints from even earlier eras, looking at preserved toys, and trying to play/create the games or toys the children had to learn hands-on about the nuances and fun of these pastimes. 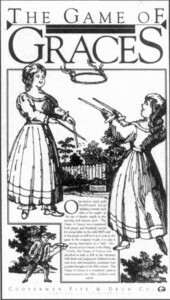 Typically a game for girls, Game of Graces involved tossing a wooden, ribbon-covered hoop off two smooth sticks to another player who attempted to catch the hoop on her two dowel-like sticks. Invented in France at the early part of the century, it was supposed to be a pretty and graceful game. There wasn’t a strict rule against boys playing, but it wasn’t a game boys usually played on their own; they might play with their sisters or friends, though. Though historic lighthouses were usually small, there would’ve been clever hiding places. However, the game can quickly turn rough and noisy, and in the story, Susan refuses to let her siblings play this game when their uncle is ill and trying to rest. And woman, lovely woman, reigns alone! However fun these word games were, the game “charades” changed to more of an acting/guessing game by the mid-19th Century. In this era, they weren’t necessarily mimed, but featured amateur acting to get friends to say a certain word or phrase. The game of charades Father taught the children in the story might have included some riddle guessing and likely some acting too. Much would have depended on which version of the parlor game they played. At one point in Lighthouse Loyalty, Susan tries to entertain her baby sister with “clapping games.” If Susan had been playing with girls her own age, this would have involved a rhyme and clapping pattern with the clapping either solitary, in unison, or clapping against a friend’s hands. Clearly, a little one couldn’t play that version of the game, so Susan was probably using a rhyme and rhythm on her own and just entertaining the baby with the noise. Historically speaking, there are records that “Pat-A-Cake, Pat-A-Cake” was played with little ones as early at the 1690’s. Clapping games were officially recorded for the historical record in France in the 1820’s, but didn’t gain extreme popularity among school age children until the end of the century. However, it’s logical that clapping patterns and singing little songs could have been “unrecorded entertainment” in the 1860’s and a natural way for a nine-year-old to amuse her baby sister. Toward the end of Lighthouse Loyalty – on a “dark and stormy night” – the two boys play what is described as “a ruleless game of checkers.” The game of checkers was popular during the 19th Century and involves a checked game board and some sort of playing pieces or chips. 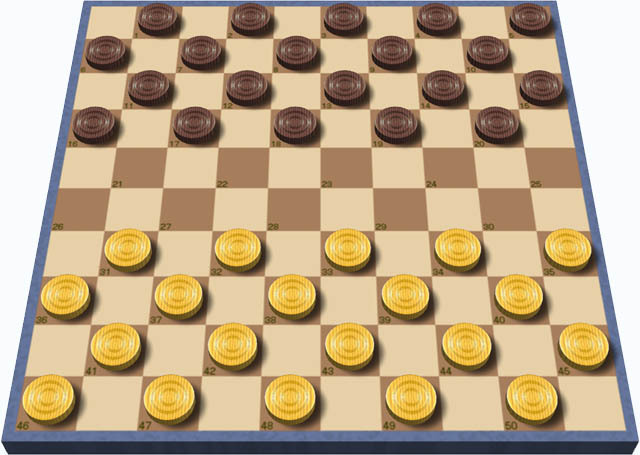 The object of the game is to jump over an opponent’s piece and capture it while pieces can only move diagonally forward until they reach the opponent’s home are are “kinged.” After kingship, a piece can move diagonally forward or backward. Note: specific rules may vary by country or even region. Ruleless Checkers implies that the boys probably weren’t using the diagonal-only moves. They were just moving pieces around, making “captures,” and having a grand time. My idea for ruleless checkers? Remembering how my brothers and cousins used to “play” the game when they were little. Cat’s Cradle is a string game. Traditional Cat’s Cradle requires two players who pass string designs to each other. (See video below.) There are other variations. For example, one person can use looped string to make designs without another player’s help. Could a six and four year olds play the traditional version of Cat’s Cradle? It’s not impossible, but it might be a little difficult. Still, young siblings will try anything they see older siblings doing. In Lighthouse Loyalty, the two boys might have been trying to play a version of Cat’s Cradle or the older boy might have been playing solitarly and entertaining his younger brother. I learned play Cat’s Cradle and make string shapes on my own when I was about eight and one of my younger siblings (age 5) could manage the simplest designs on his own or experiment with the harder designs with a little help. Paul Arnold says he left his “Jumping Jack Man” on his bed during the lighthouse inspection and is worried the inspector will be upset. His mother reassures him. What’s a jumping jack man? Basically, it’s a jointed toy that uses string to move. It’s sort of a cross between a puppet and a paper doll. If you hold the jumping jack man from the top and pull a string below, his arms and legs move jerkily. This type of toy was popular throughout many centuries of history. For little ones, there was some mystery about how it moved, and who doesn’t have fun with a wriggly toy that dances? Susan has a doll named Mary. In the story, we don’t see her play with the doll, and that’s significant to the tale; she associates her doll with happy memories of her friends, and in her new lighthouse home, she’s lonely and trying not to remember some of those times with her girlfriends. Still, she remembers have teas with her friends and their dolls. 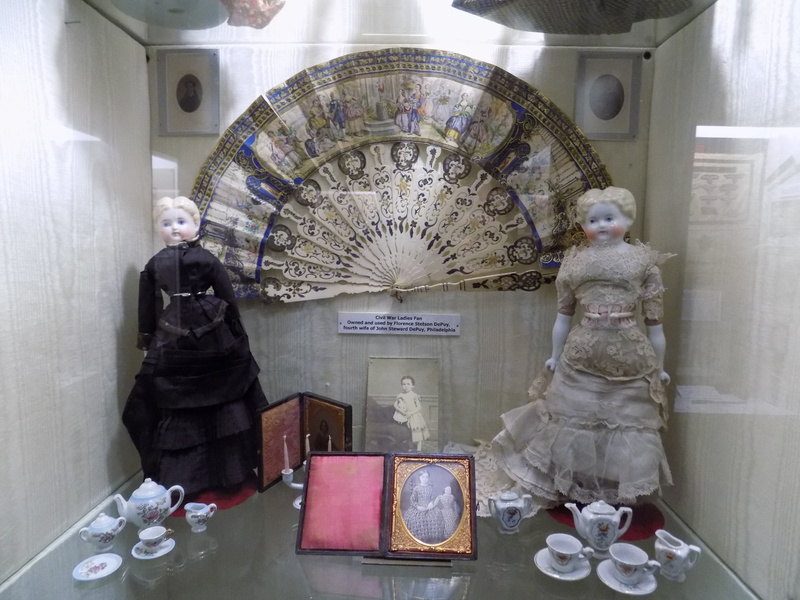 From early history, girls have played with dolls – sometimes simple ones made from corncobs or clay, sometimes elaborate ones made from porcelain or wax. In his 1862 novel Les Miserables, Victor Hugo uses a doll symbolically as the beginning of girlhood while also noting that when a girl played with a doll, she prepared to be a mother. What type of doll would Susan Arnold have had? I envisioned a doll with a porcelain head and cloth body, dressed in a calico dress edged with scraps of lace. Probably not a particularly large doll, maybe eight to ten inches. When I was little, my favorite time to play with my dolls was when friends came over. Yes, I did play with my dolls when I was alone, but it was always so much more fun with friends! So a slight hint to my own experiences echoes back as Susan looks at her doll and remembers happy days at her old home. Long ago–like the 1980s–the Civilian Corps at Ft. Tejon kept a nice stash of marbles, checkers, cards, string for Cat’s Cradle, etc. in our collection of stuff for those who only came up for a day but were interested in perhaps joining the fun.It was pretty successful, as we had to replace things pretty often. A page, if the page contained a picture they claimed the picture , either way you kept the pin. That’s so neat! Thanks for sharing about this game.